Want to improve your relationship with your kid? Add another channel of technical communication. Let me not mislead you, the study was done with young adults between 18 and 29. So more accurately, the more modes of communication you use with your college kids, the better they feel about your relationship. I can definitely vouch for this. 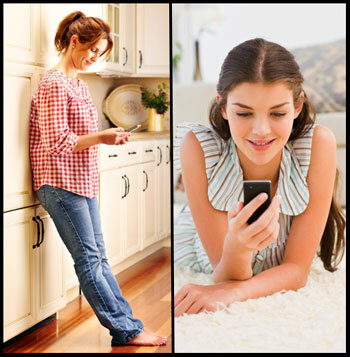 I use four different “tech” channels of communication with my 17 and my 19-year-old daughter, and they each seem to respond differently to different channels. I might post a picture of a jeep I passed that looks like it belongs to Malibu Barbie, and my girls will like it. Other times I’ll send my oldest a pic of a pair of pants I like to get her fashion advice. Or sometimes we just send texts to keep each other posted. The simple fact is this. Many parents have trouble finding connection points with their kids. Some moms and dads are even resistant to using technology because of its misuse, and tech use is seen as an item of contention. Parents should constantly be on the lookout for any communication arenas where their kids feel comfortable communicating. In a world where young people are finding growing difficultly communicating face-to-face, parents should be flexible to try different mediums. Don’t replace face-to-face communication, but definitely don’t be scared to supplement with tech. “So, if you are only using one or two technologies to communicate, adding a third might hit the sweet spot for relationship satisfaction,” researcher Jennifer Schon said. What arenas do you use to communicate with your kids? Have you considered adding another channel into the mix? What tech channels might your kid enjoy communicating with you?